Architectural Kahnceptions, PLLC provides many pacakges for clients to help them stay in their budget for architectural services. Wether your needs are very basic, or you would like a full all-inclusive bundle, We can quote the best package for your individual needs. 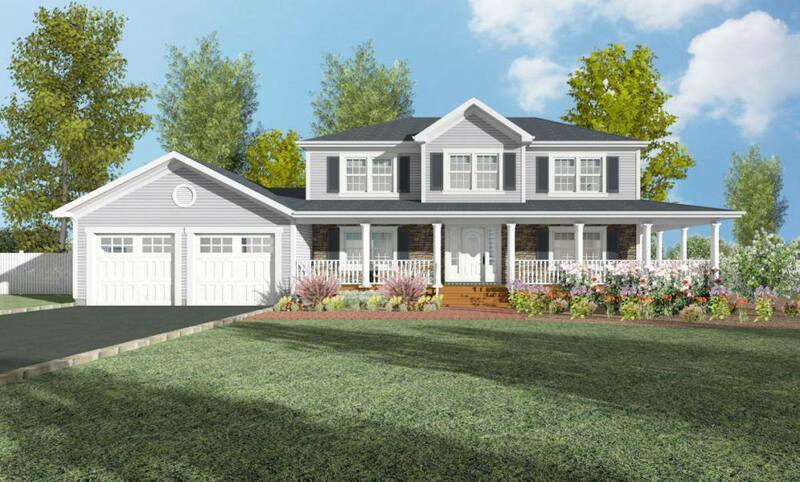 If you have a new lot, or existing lot & would like to design a brand new home, we can help guide our clients through the whole design process from preliminary design, to final construction documents. Architectural Kahnceptions, PLLC has the capability to design in 3D, which gives the advantage for our clients to see exactly what their new home will look like. Commercial design comes in many building types from restaurants, offices, retail spaces, etc. We help our clients with the building design, and zoning analysis that is necessary to complete their project to all applicable codes. From preliminary to final construction documents, we will provide our clients with the best services that are affordable. In addition to your building design, Architectural Kahnceptions, PLLC helps clients design their entire site from building placement, parking, lighting, landscaping, drainage, etc. When your existing home or business is too small, we can help clients design functional, aesthetically pleasing additions to their buildings. We will document the existing conditions, photograph, and create a preliminary design for your approval. If you want to change some of the spaces in your existing building, we can help clients with the design. Residential spaces and commercial spaces can both be changed to your current needs and we will guide you through the process to make a code conforming solution. Architectural Kahnceptions, PLLC can help you select the necessary furniture, finishes, and fixtures. Kitchens & Bathrooms get outdated sometimes, we will be able to provide a detailed design for you to go along with your construction documents. We can help specify fixtures, finishes, cabinets, hardware, and any other necessary elements for your kitchen and bathrooms. We'll do the research, and propose a design package for you to approve. Sometimes clients want to visualize the design in a 3D model. Architectural Kahnceptions, PLLC uses 3D rendering programs to help clients understand their project more comprehensively by seeing the whole thing modeled, instead of flat 2D drawings most architects provide. A basic rendering is included with your drawings, but a more detailed rendering can be created for an additional charge. When a client wants to understand their design and spaces more, Architectural Kahnceptions, PLLC can sit with clients and show them their design in a 3D interior and exterior environment. This is the benefit of using 3D software programs that typical CAD only firms can't offer their clients. You will be able to see your project in a complete 360 degrees, and able to see the full spaces visually. Our construction administration services include expediting, bidding phase, construction managing, and on-site observation. Available for our clients based on their individual needs. We will help our clients decide what is best for them, and we will assist them through the construction phase of their project.